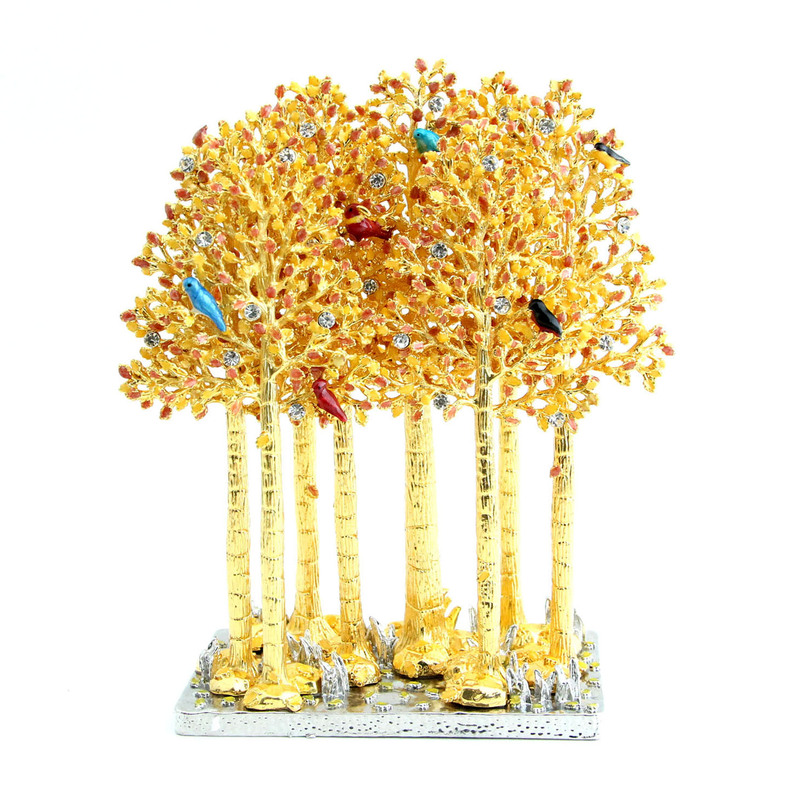 This awe-inspiringly gorgeous set of 8 golden wealth trees is exquisitely decorated with gems, colorful birds, and sparkling crystals. The beautiful gold and red trees, vibrantly colored birds, and colorful gems are designed to increase one’s luck, prosperity, and good fortune created by the annual #8 Prosperity Star. In 2017, the Year of the Rooster, the #8 Wealth Star is in the East sector. Placing the 8 wealth trees in the East will grant one prosperous energy and auspicious chi. Place the 8 wealth trees in your office, home, or business to usher in a year of abundant fortune, wonderful opportunities, and success ! These beautiful wealth trees may also serve as the perfect gift for family and friends. The dimension of the 8 Wealth Trees is approx. 5 3/4" x 2 1/2" x 7". It is made of alloy embeded with gems.